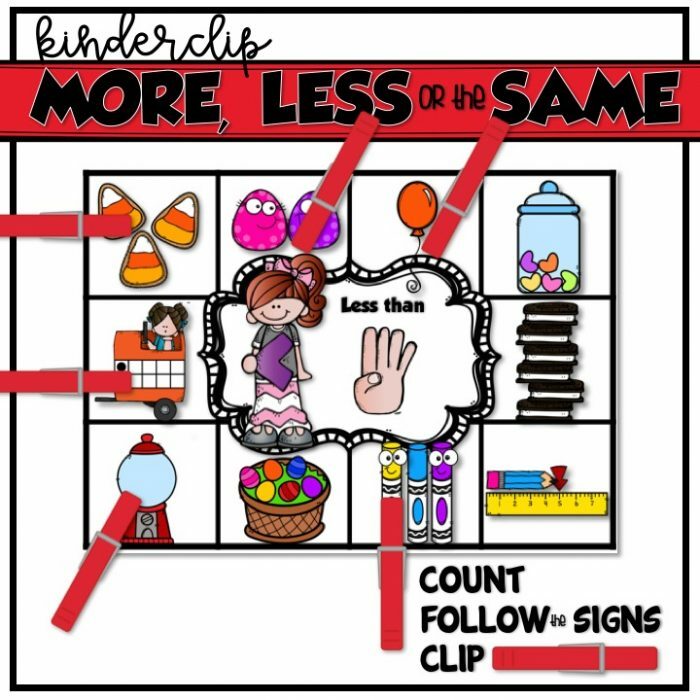 Just posted a new resource to help you develop your students’ number sense! 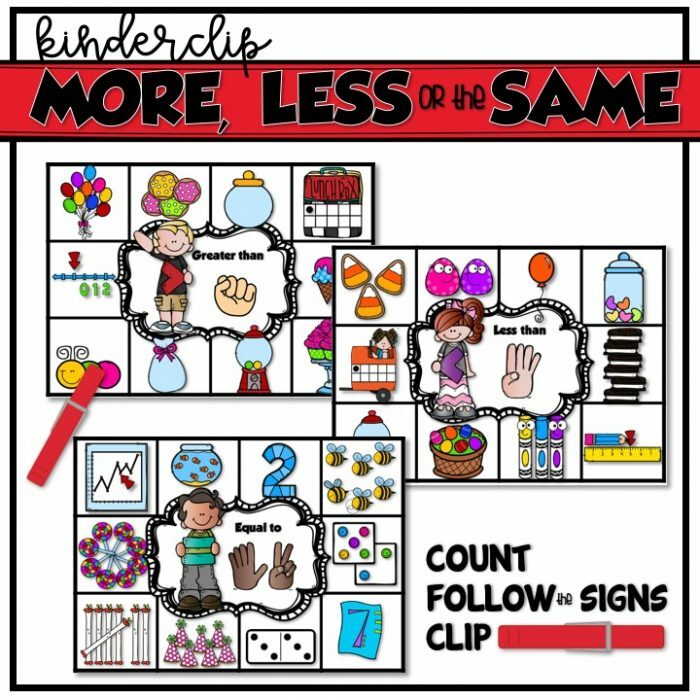 These KinderClip MORE, LESS or the SAME Cards will develop your kinders basic number sense with counting, cardinality, one-to-one correspondence, and number identification. 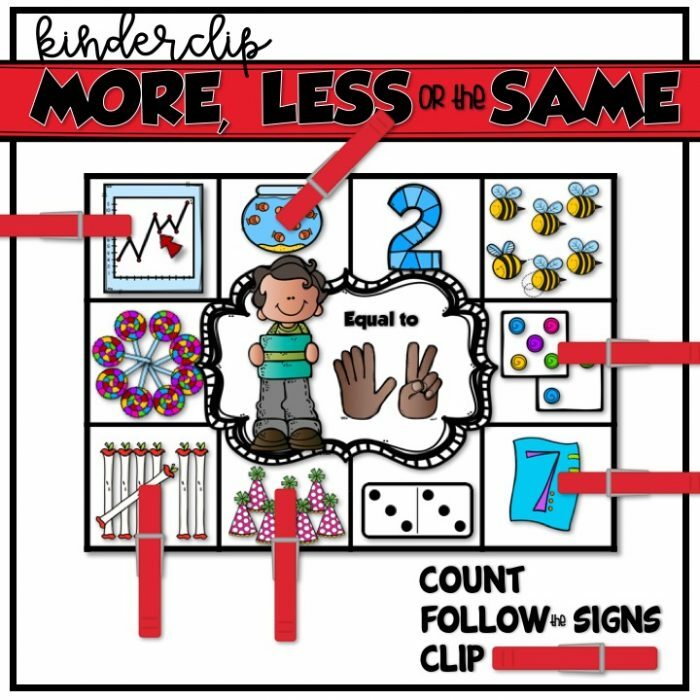 On each of the 32 KinderClip MORE, LESS or the SAME Cards students will count/identify the number in each square and then follow the signs (>, < or = to the target number-–identified by counting fingers in the center frame of each card) to determine if that square contains a correct answer. Although this set of KinderClip cards covers numbers 0-10, your students will identify numbers 0-14 as numerals, objects, base ten blocks, tally marks, marks on ten frames, dominoes and dice. They will also identify numbers on a number line, as a measurement, and on bar and line graphs. Grab it here for half-off through tomorrow!